Story of the Week: Was It in His Hand? 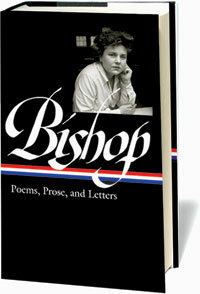 In preparing for publication Elizabeth Bishop’s Collected Prose, I found among her papers an unfinished story with the odd title, ‘Was It in His Hand?’ It was an account of something that had happened to Elizabeth in the 1930s, an accidental encounter with a black woman who had a little white boy living with her. . . . Unable to find the conclusion, despite repeated searching (the pages I originally found got as far as the boy’s toy typewriter), I regretfully had to omit the story from her Collected Prose. Notes for two allusions on page 562: The lost Dauphin refers to the second son of king Louis XVI and Marie-Antoinette, who died in prison, although rumors persisted that he escaped. A character in Twain’s Adventures of Huckleberry Finn claims he is the lost dauphin. Little Eva was the angelic young daughter of a slaveholder who buys Uncle Tom in Uncle Tom’s Cabin. We wore two coats apiece and mittens over our gloves and Louise drove the car with all the side-curtains snapped on. The snow swept from the surface of the fields, across the bare state road in front of us in long glittering flakes, struggling as if to rise and, when the sleet hit the side of the car, tinkling like tapped glasses. The wind plucked and jerked at the top of the car, trying to pick it up and float it off the road. We hit seventy-five, eighty. . . . If you don't see the full story below, click the right button at the top of the reader to view the story in Google Docs or click here (PDF) to read it—free! To photocopy and distribute it for classroom use, please contact the Copyright Clearance Center.